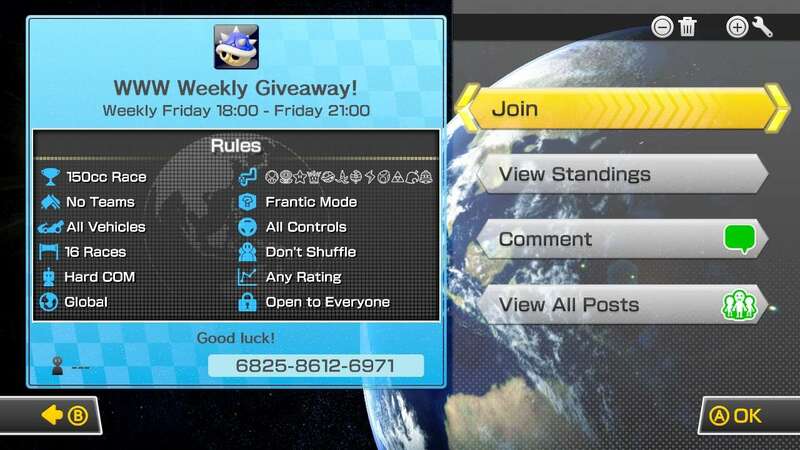 Contest: MK8 Vector Assault Giveaway! Friday we'll be holding a new Mario Kart 8 tournament with the top prize being a free copy of Vector Assault for the Wii U eshop! The tournament will begin at 6:00 PM PST and will end at 9:00 PM PST! The tournament key will be provided on Tuesday in the image above! 2nd: 2,500 WiiWareWave Coins "Members Only"
3rd: 1,000 WiiWareWave Coins "Members Only". Re: Contest: MK8 Vector Assault Giveaway!